Is advertising creating culture or polluting it? It’s probably inappropriate for me to say this, given my marketing role, but I truly believe that most advertising today is, frankly, a stain on the cultural tapestry of our world. Yes, there are some interesting and innovative campaigns happening out there. But for the most part, the majority of modern advertising simply feels like brands throwing temper tantrums to grab our attention. Today’s consumer is harder than ever to engage, it’s true. Certainly, it’s hard to discern the chicken from the egg when it comes to whether or not advertisers are at fault for the horrific viewability statistics of digital and the welcoming of ad blockers into consumers’ digital worlds. But none of this is a reason why we, as advertisers and marketers, cannot focus our energy on creating branded experiences that can create real cultural value rather than pollute our airwaves and web pages. So why should advertisers make this leap and how? The first step is understanding how the role of advertising has evolved with regards to what it has done and can do for consumers. In doing so, it becomes clear that we are entering into a new wave of advertising that demands brands and marketers work together to create engaging experiences that add cultural value to the lives of consumers, rather than just capturing their attention. In 2005, Procter and Gamble changed the world of marketing by introducing the concept of "Moments of Truth," which defines the critical moments surrounding a consumer’s purchase decision — the first occurring at the shelf when deciding between one product or another, and the second occurring at home when the consumer actually uses the product. Then in 2011, Google introduced the Zero Moment of Truth, or the research that occurs before a purchase in-store or online. Although the original model for these moments was linear, the omnipresence of smartphones and the Internet has completely convoluted when these moments now occur. Understanding the shifting timeline around Moments of Truth can help to contextualize the role advertising plays in the consumer journey today. Where advertising was once the trigger that set these "truths" in motion, it now often functions more as a nagging reminder, pestering customers with signs that the brand still exists. Because the purchase journey is now more amorphous than ever before, it is the perfect time for marketers to reconsider the utility of ads. Let’s face it, the modern consumer sees right through gimmicks. Instead, they want to feel well-informed before making any purchasing decisions, and they’re willing to do the research on their own. For this reason, it’s time for advertising to think more strategically about what objectives it wants to achieve in each campaign, and how it can meet those objectives in a way that is adding to our cultural climate, rather than detracting from it. In the new era of advertising, we’re starting to see two major branches in terms of how brands are successfully reinventing the way they interact with consumers. The first is in the area of editorial content. The shift to native ads and branded content we’ve seen in advertising over the last five years adds value to the consumer’s life beyond just awareness of a brand or product. If a consumer actually learns something from a piece of branded content, they’re not only increasingly likely to think fondly of the brand during a Moment of Truth, but they’re also more inclined to share the experience with others. By adding to a relevant conversation in a meaningful way, brands are able to use this type of content not to add to the noise with misinformation and stunts, but rather educate the consumer on something that might be meaningful to them. For example, in 2014, Sainsbury’s partnered with the Royal British Legion to launch a Christmas campaign that retold a Christmas day truce between British and German soldiers during WWI. Not only is the ad itself incredibly beautiful, but it then tied into the purchasing journey by donating proceeds from a chocolate bar featured in the video in support of veterans. Historical, beautifully made, and philanthropic — advertising storytelling at its finest. Creative campaigns can be another way to add to culture as opposed to polluting it. This past November, Glade launched the "Museum of Feelings," a branded experience that had participants walk through rooms with themes like "Optimism" and "Calm." These abstract emotions were symbolized through scent, sounds, and visuals — a truly immersive, unique experience. In both this Glade campaign and Sainsbury’s, consumers were invited to engage in a campaign outside of digital media, and given a cultural experience worthy of sharing with others. While yes, consumers complain about advertising far more than they applaud it, they are willing to enjoy and share compelling content. It’s time for brands and marketers to work smarter in pursuit of creating cultural moments that will be remembered for the zeitgeist they captured. 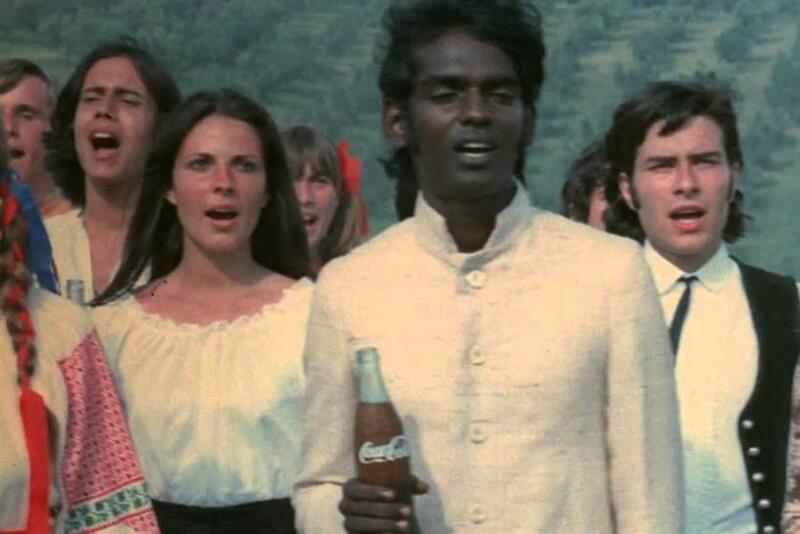 Even if you’re not old enough to remember Coke’s "I’d Like to Buy the World a Coke" 1971 commercial (or didn’t tune into the "Mad Men" episode featuring it), you probably know about it because it added to our cultural landscape and captured a moment in history. The message for us as marketers is loud and clear: if you add to culture the consumers will respond, but take away from it, and you will be ignored. Omaid Hiwaizi is Blippar president of global marketing.